Skills evaluations are only required for Temporary Skill Shortage visa subclass 482 visas in short circumstances set. A specific legislative instrument (IMMI 18/039) needs skills evaluations for specific professions from specific countries who do not satisfy an exemption. 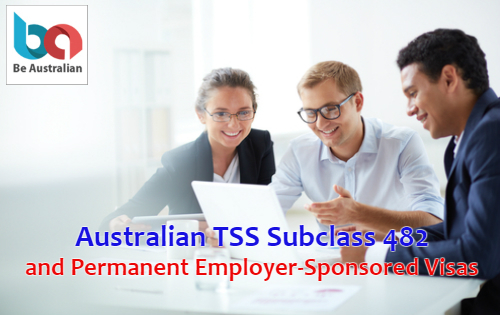 Candidates for the E.N.S subclass 186 and R.S.M.S subclass 187 visas are not generally needed to give a skills evaluation to exhibit their skills. It is usually taken that working in Australia in the chosen profession for the required period is proof of skills in the profession. At the Minister’s concern, you may be asked to present a skills evaluation. It could associate to any profession or any nation of passport. It is not overly familiar for this discretion to be applied. It is also noted in the policy for the stream of temporary residence transition that Additional modifications to the skills requirements are expected and will be particularized in a legislative Instrument in due course. Readers should stay posted for future modifications to the present policy for the stream of temporary residence transition, and if you have reached the expected 2 or 3 years of work with the nominating organization, you may need to look to appeal for your permanent visa prior to a skills evaluation is required. It could significantly improve the time, cost and effort associated in achieving Australian PR.